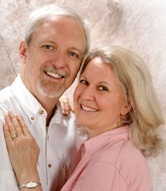 Welcome to the Blessing Ministry to Ukraine blog/website! Thank you for stopping by to learn more about our ministry and all God is doing here in western Ukraine at Bethel House & Living Word Church. You can subscribe to the site on the right-hand side of this page to receive e-mails when we add new updates. We are so thankful for your support in every way and pray God’s abundant blessings on you! The new blog site looks great. Lindsay did a wonderful job setting this up. Look forward to this. Thanks, Diane! We miss and love you guys! Thank you, Jill! We appreciate your prayers and would love to see you in Ukraine someday. Just finished reading the 2010 Nov newsletter. I personally love loooonngg ones. I love hearing about the progress and details of Bethel House. I also would love to return to Lviv and visit the yellow house you pointed out to us when we were there the 1st time. But God has Bob’s focus on Sudan and the Nuba Mts. ~ You are an encouragement to me. So stay faithful and allow the Lord “who began a good work” to continue to work thru you. Thank you, Glenda! We would love to see you guys in Lviv again, but are excited at all God is doing through you in Africa. How wonderful to live in this time of the Internet, when we can keep up with each other and the amazing things the Lord is doing around the world! think about issues that they just do not recognise about.